April 2014 marks the launch of the website for Family Health and Rehabilitation. 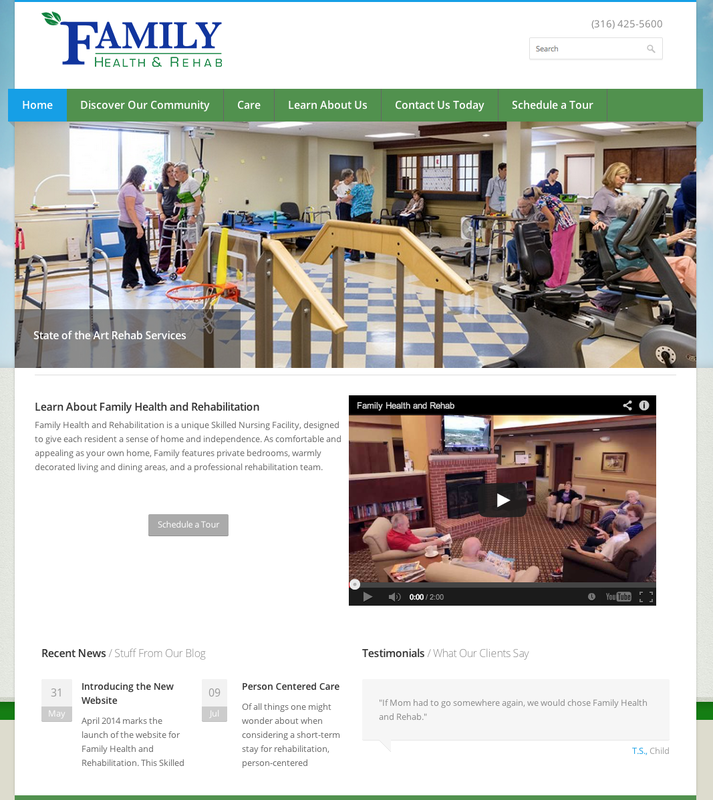 This Skilled Nursing Facility is now visible on the web! Family Health and Rehabilitation features private bedrooms, warmly decorated living and dining areas, and a professional rehabilitation team. We invite current and past residents, visitors, and friends and family to check our website and see all the exciting things available at Family. While creating this website we worked hard to make sure that the life and care that is felt when you walk in the doors was felt even through a computer screen. The new site will allow current and future residents to find the information they need right at their finger tips. Check out our facility, learn about our amenities and activities, and request a tour today. Get to know our team through employees bios and learn about our mission to improve lives and exceed expectations in all we do. Thank you for visiting our site. Feel free to browse the pages of information and come visit us soon here at Family Health and Rehabilitation.